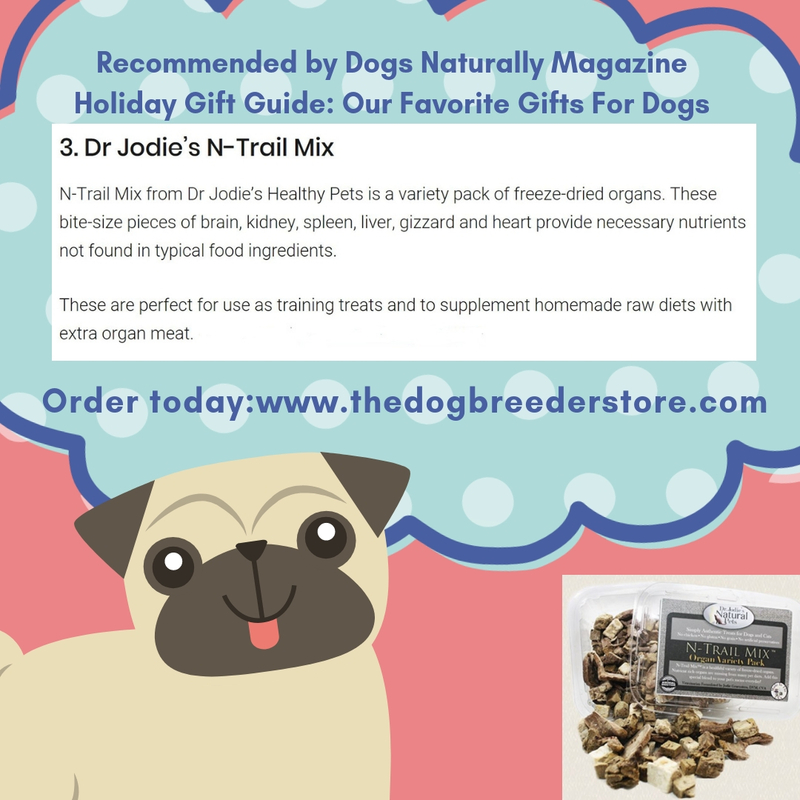 RECOMMENDED BY DOGS NATURALLY MAGAZINE AS ONE OF THE TOP TEN PRODUCTS FOR DOGS FOR THE HOLIDAYS! 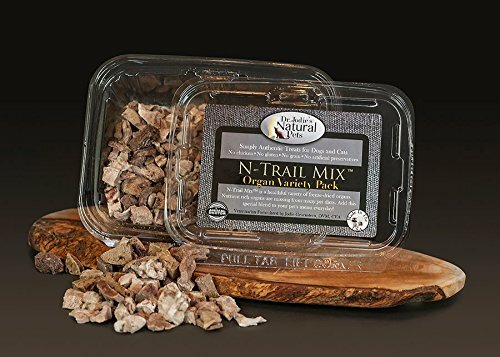 Crunchy, freeze-dried, organ variety snack for dogs or cats! 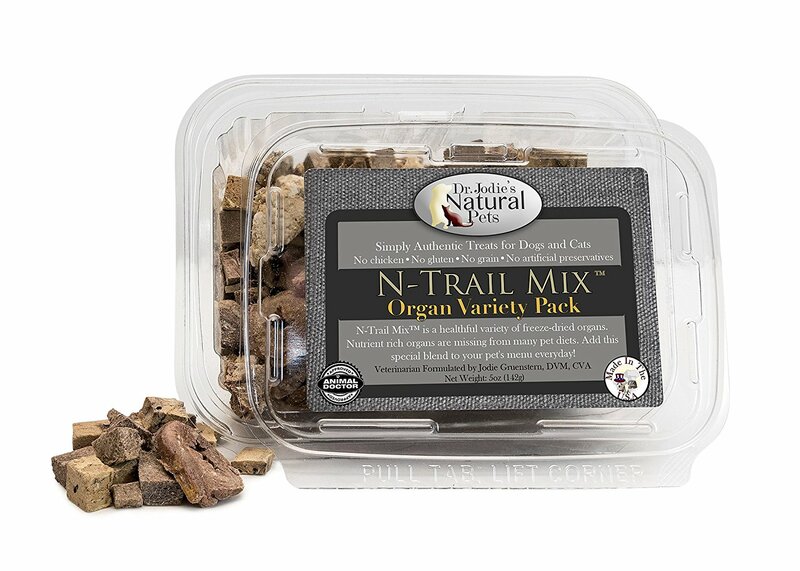 N-Trail Mix™ is an organ variety pack that is a hit with dogs and cats. No where else can you find bite size pieces of pork brain, grass-fed beef kidney, lamb spleen, lamb liver, turkeygizzard and turkey heart with no adulteration, simply freeze-dried and naturally delicious. Dr. Jodie has been concerned that our little carnivores are rarely allowed to eat organs like their wild predator relatives. The prey’s organs provide necessary nutrients not found in typical food ingredients. 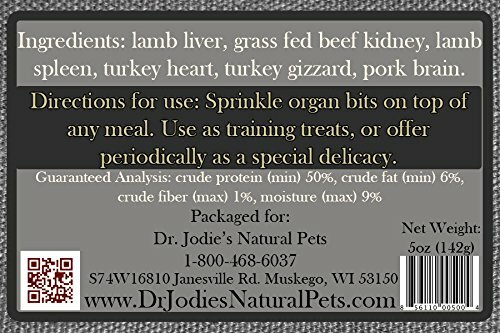 Perfect for training and to supplement kibble or raw diets. For supplemental feeding to round out prey model feeding or to add additional nutrients for kibble fed dogs. Sprinkle organ bits on top of any meal. Use as training treats or offer periodically as a special delicacy. Prey model feeding typically includes approximately 10% organ in diet. 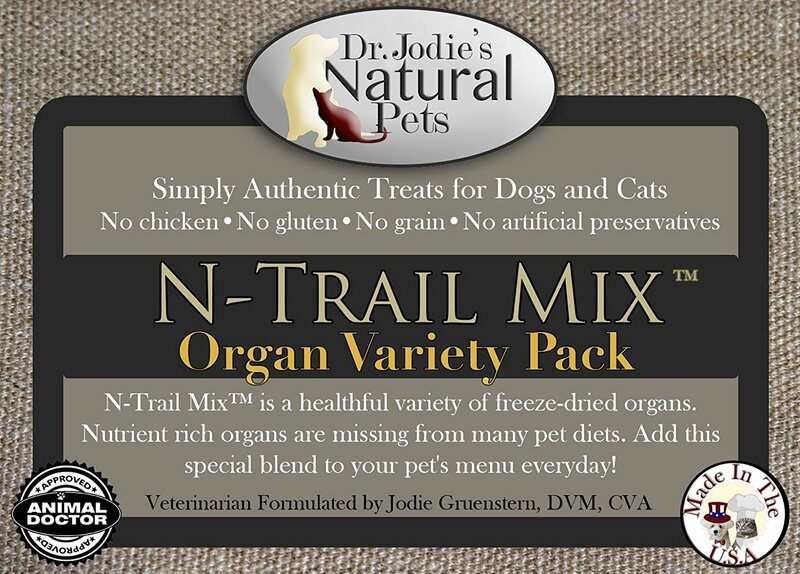 N-Trail Mix™ is an organ variety pack that is a hit with dogs and cats. 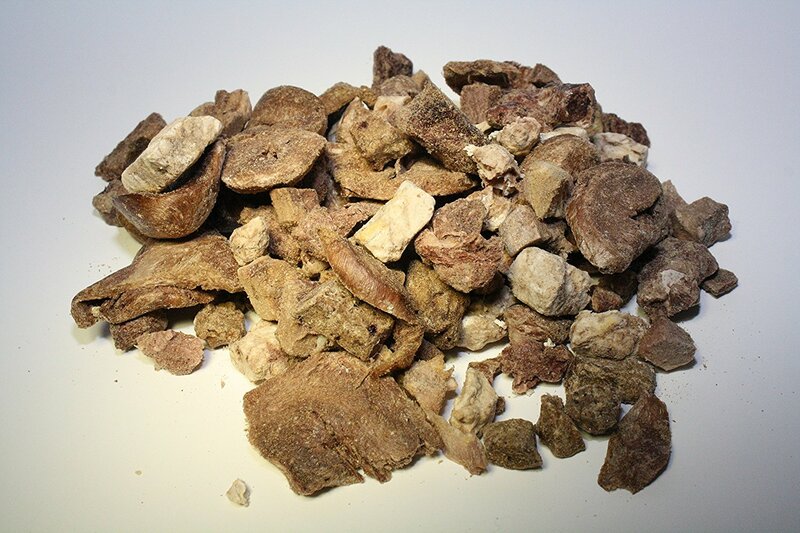 No where else can you find bite size pieces of pork brain, grass-fed beef kidney, lamb spleen, lamb liver, gizzard and heart with no adulteration, simply freeze-dried and naturally delicious.